Oklahoma City, OK – American Bank Systems, Inc. (ABS) and Vetter announce their new partnership to bring Vetter’s strategic growth and account opening platforms to ABS’ expanding community bank customer base. Vetter’s strategic growth platform allows community banks to target intent-based eligible prospects via automated marketing campaigns and then move them, at the point of excitement, into a streamlined consumer-centric account opening platform. Vetter’s account opening platform will verify the customer identity, electronically sign agreements, and fund the account, along with providing product additions and cross-selling opportunities — all fast, easy, and cost-effective, in about 90 seconds. “With our solution, a $100 million community financial institution was able to get 14 new fully funded deposit accounts in a matter of 4 days at a 90% discount to the industry’s average acquisition costs” – Bryan Adler, CEO and Co-Founder of Vetter. The Vetter-ABS agreement allows ABS to offer Vetter’s technology to its customers as well as provided tier-one end user support. This new relationship creates an opportunity for delivering Vetter’s winning tools to help community banks thrive in the developing digital world. Contact Tom Ryan at ABS (405.607.000) or Bryan Adler at Vetter (516.965.0054) to learn more about Vetter’s Strategic Growth and Account Opening Platforms and to schedule a demonstration of these systems (you may also request a demo online at https://www.thinkvetter.com/about/). 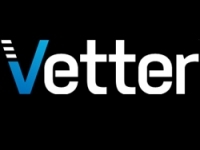 Vetter leverages sophisticated data analytics to target consumers specific to you, deploys proven and predictable digital marketing strategies to reach those consumers where they want to be reached and drives them to Vetter’s simple and intuitive digital onboarding platform to become customers of your bank. The best part is, you just sit back and watch the new customers come to you from Vetter’s Workspace that automates and ensures compliance. To find out more about Vetter’s turnkey solution, go to www.thinkvetter.com. ABS offers three signature software solutions specifically developed for financial institutions: CoPilot for documenting loan and deposit transactions; BankManager® for managing loan and deposit relationships through exception tracking and document imaging, with optional Account Payable, Human Resources, and Trust modules; and CompliancePro® for risk management and compliance with federal banking regulations. ABS is privately-owned and celebrating its 50th year in business. For more information about ABS’ banking and compliance software solutions, visit www.americanbanksystems.com.